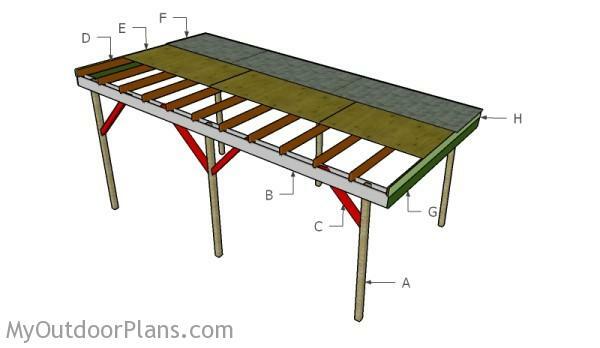 This step by step diy woodworking project is about flat roof carport plans. 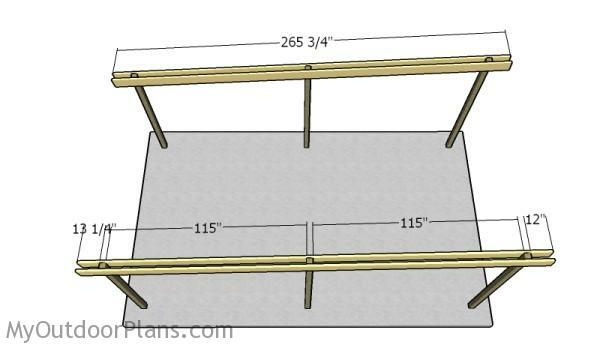 The project features instructions for building a single car carport made from wood. 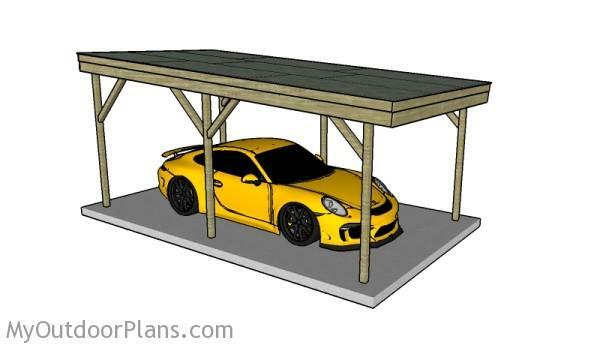 If you want to protect your car from bad weather, but a garage is too expensive or just too complex for your needs, building this carport with a modern design is a great option. Make sure you check out the rest of plans to see alternatives and more projects for your garden. The first step of the project is to layout the posts in a professional manner. Therefore, I recommend you to use batter boards (made from 2x4s) and string. Measure the diagonals and make adjustments until they are perfectly equal. Apply the 3-4-5 rule to the corners to make sure they are right-angled. 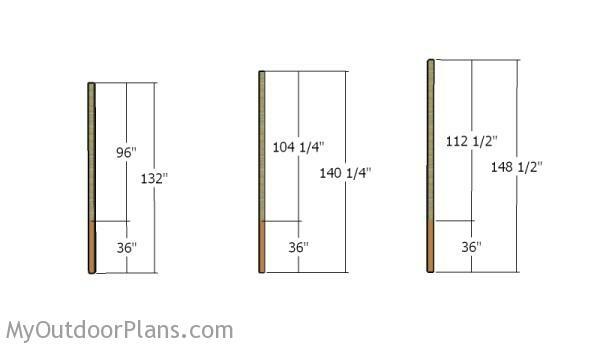 Build the posts from 4×4 lumber. 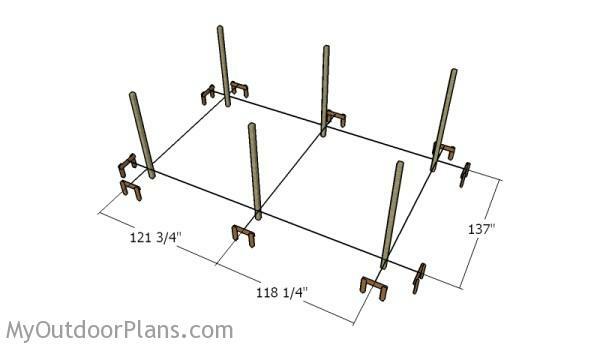 As you can easily notice in the diagram, you need to set the posts in concrete for 36″. Make sure you make 4 degree cuts to the top of the posts, for a professional result. 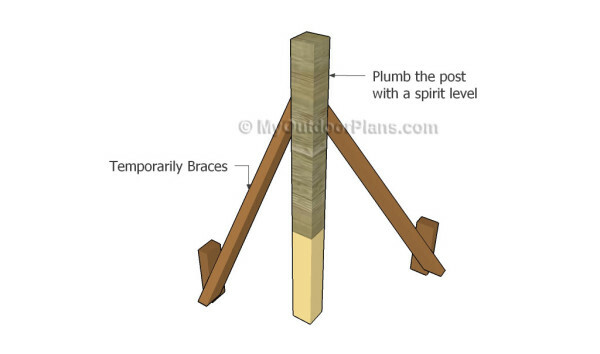 After the concrete sets out, you need to attach the 2×6 support beams to the top of the posts, as shown in the diagram. Align the beams with attention and clamp them to the posts tightly. Drill pilot holes through both the beams and through the posts. Next, insert 7″ carriage bolts to lock the beams to the top of the posts. 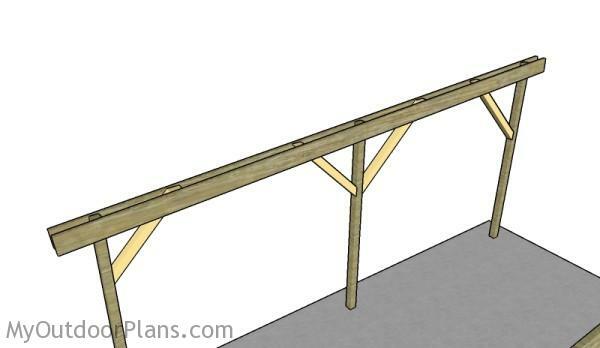 Build the braces for the carport from 4×4 lumber. Cut both ends of the braces at 45 degrees. Smooth the cut edges with sandpaper. Fit the braces to the sides of the carport. Align the edges with attention, drill pilot holes and use 3 1/2″ screws to lock them into place. 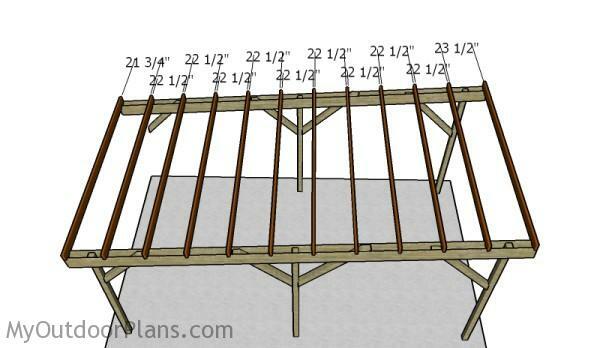 Build the rafters from 2×4 lumber. 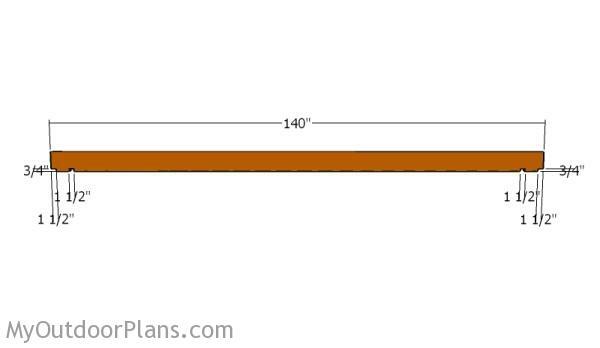 As you can easily notice in the diagram, you need to make notches to the rafters. Use a circular saw to make parallel cuts to the marked areas and remove the excess material with a chisel. Fit the rafters to the support beams and place the equally-spaced. 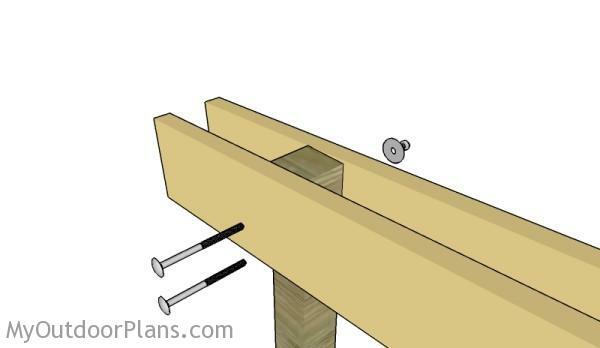 Use metal connectors to lock the rafters to the support beams. 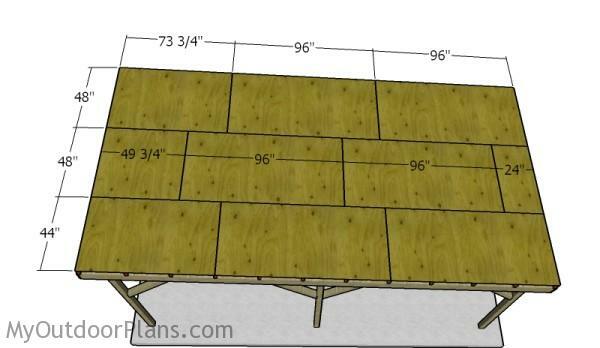 Build the roof of the carport from 3/4″ plywood. 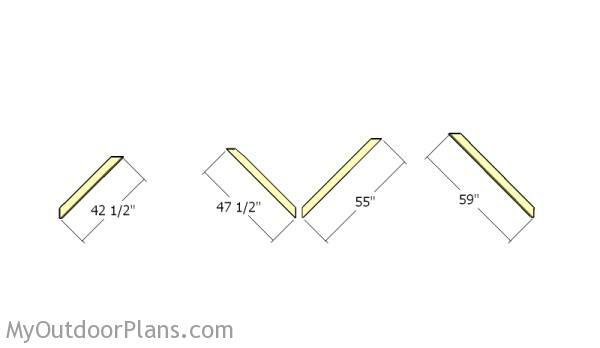 Cut the sheets at the right dimensions and place them to the rafters. Use 1 5/8″ screws to secure the sheets into place, every 8″. Leave no gaps between the sheets for a professional result. 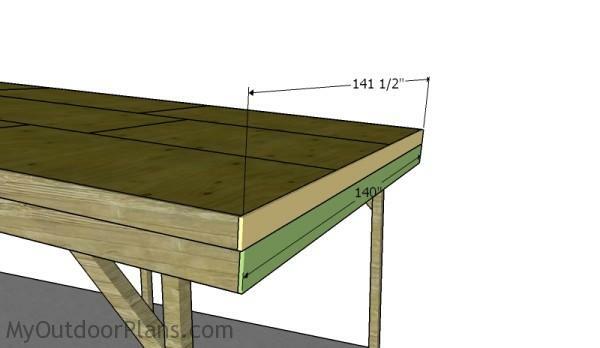 Attach 1×4 trims to the sides of the rafters. Use brad nails to secure the trims into place. Next attach the trims to the front and back of the carport. The top trims are made from 1×4 lumber, while the bottom trims are made from 1×6 lumber. 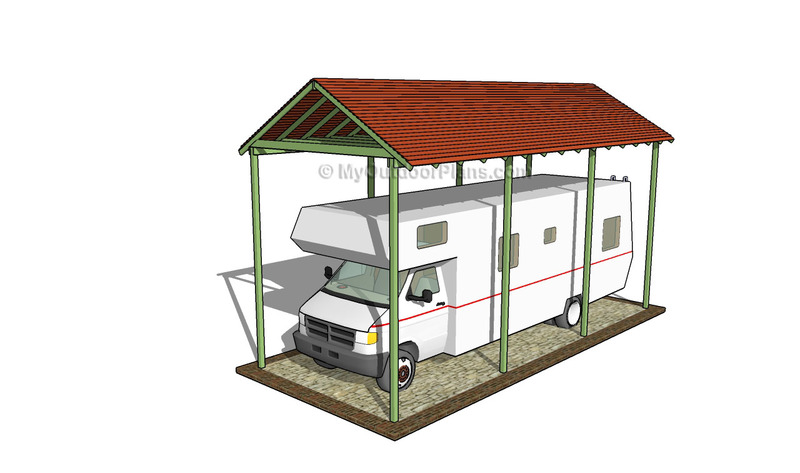 If you want, you can easily adjust the size of the carport to suit your needs. Fill the holes with wood putty and smooth the surface with sandpaper. Cover the components with paint or stain to protect the components from decay and to enhance the look of the project. Top Tip: If you live in an area with heavy winters, you should increase the slope of the roof. 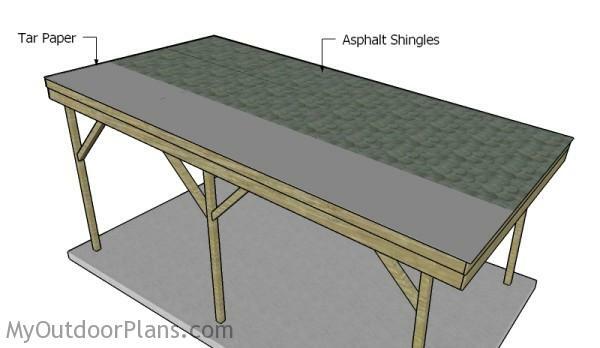 This carport design is more suitable for area with mild winters. 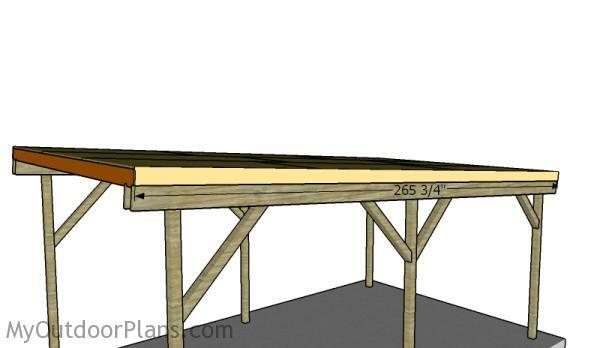 This woodworking project was about flat roof carport plans. If you want to see more outdoor plans, check out the rest of our step by step projects and follow the instructions to obtain a professional result.